Bedmutha Industries Ltd India, is a leading manufacturer and exporter of G I Wire ,ACSR Wire, Stay/Guy/Earth Wire 7,19,37 Wire Strands, Spring steel wire, Tyre bead wire, Wire for ropes etc and various types of wire and wire products. 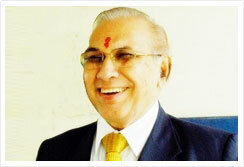 We have recently set up a new plant at Nardana, Dhule, Maharashtra India. It has a 4000 MT/Month FIB patenting galvanizing line with nitrogen /pad wiping technology from FIB Belgium. Take up and payoff are designed/supplied by M+E Italy. Its size range is from 0.9mm to 6mm. Coils will be with pattern lay and coil weight up to 1000kg. It has a 2200 MT/Month ITALIAN Plant for manufacturing tyre bead wire. Take up and payoff are designed/supplied by M+E Italy. Its size range is from 0.8mm to 2.2mm. It has an ultra modern PLC Operated ITALIAN Pickling plant with cap of 8000 MT/Month. 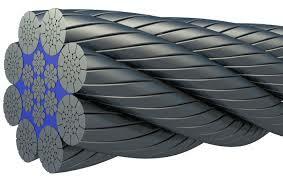 Nardana plant’s steel wire division has started production from 23’rd November, 2013. Its wire rope division will start commercial production from May 2014.During 1st phase, capacity will be 600 MT/Month .Size range will be from 6mm to 72mm. Construction will be 6x36,6x19 general Engineering rope , 6x37 or 18x7 or 17x7or 34x7or 35x7 Non rotating rope , 8x19S or 9x19S elevator rope. Copper Plant in Nardana, will produce Oxyzen Free Copper UP-CASTER JUMBO COIL sizes 8mm dia, 12mm dia, 16mm dia, 20mm dia, Other Oxyzen Free Copper Products like Copper Bus bars width upto 170mm, Strips, Rods size upto 75mm dia, Profile, Sections, Copper Foils min. thickness 0.035mm x width 150 mm, Paper Insulated Copper Conductor (PICC), Fabricated Copper Bus Bars for Motor and Transformer Division. Copper plant will commence production in the month of January 2014.